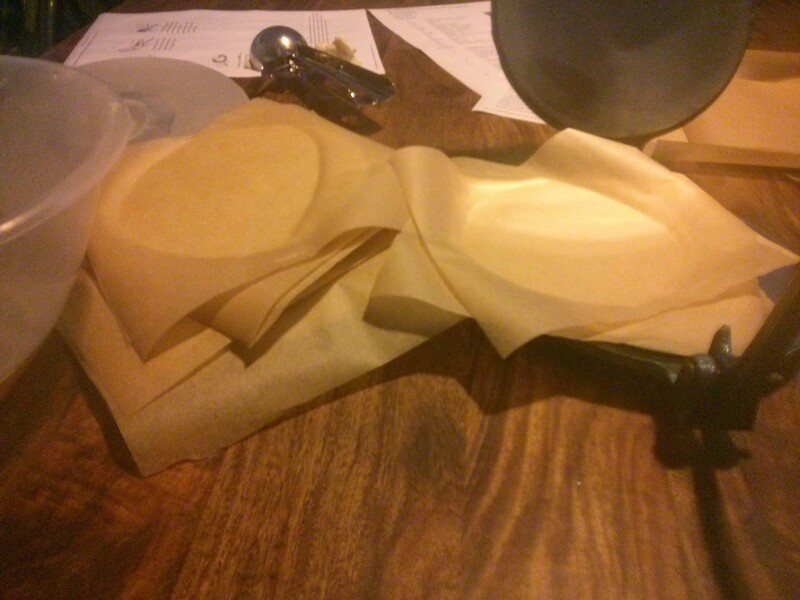 My previous attempts at corn tortillas were hindered by a lack of a tortillas press. 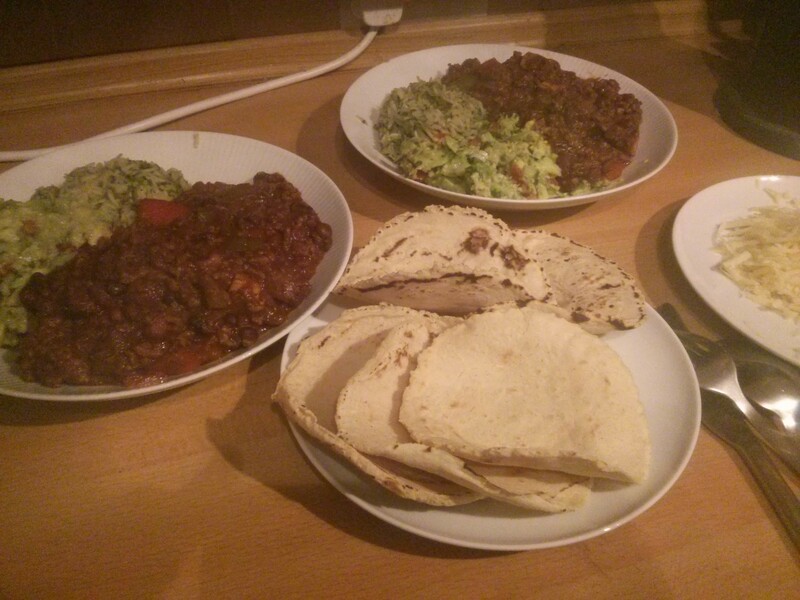 A trip to to a local hardware-plus store saw me get a tortillas press for £4… so it’s taco time! So as Soph is making the chili that these tacos are for, I’m in the dining room ready with my new toy to make the tacos. The mas harina, oil and salt get mixed together, then 1 1/4 cups of water are added and you mix to form a dry dough. 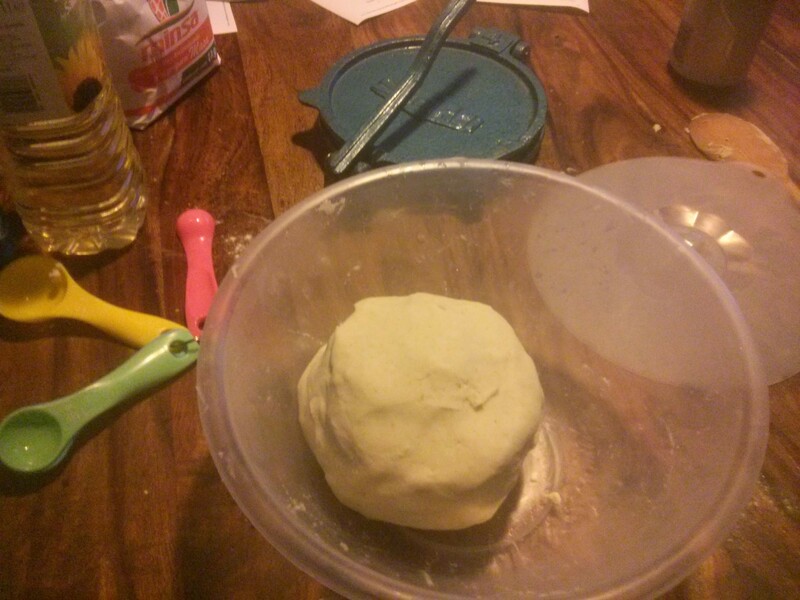 You then knead the dough adding more water until it starts to get sticky, and then you rest it for 5 minutes. 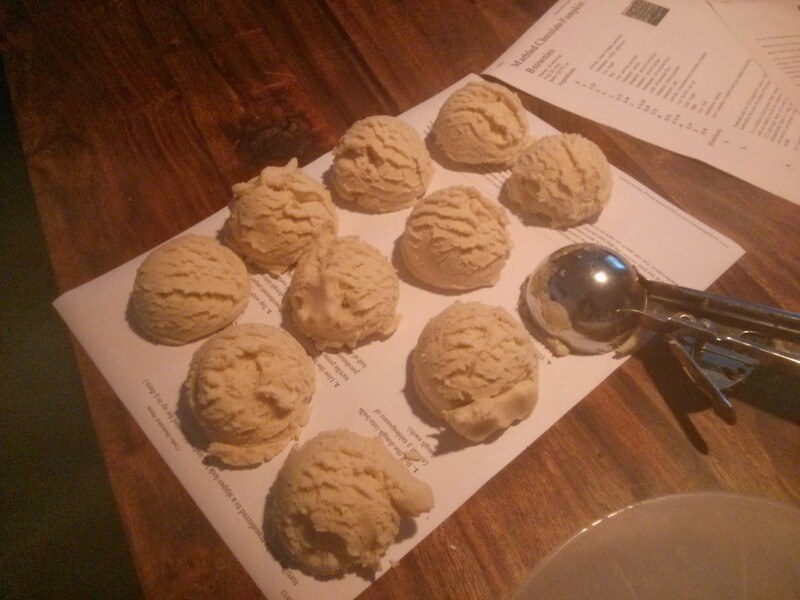 The recipe calls for 3 tbsp sized balls of dough, which I happen to know is the size of a mash potato scoop, and I got 10 of these measures from my dough (not the 12 they said it would make, but much better than the 24 estimate of the BBC recipe!). 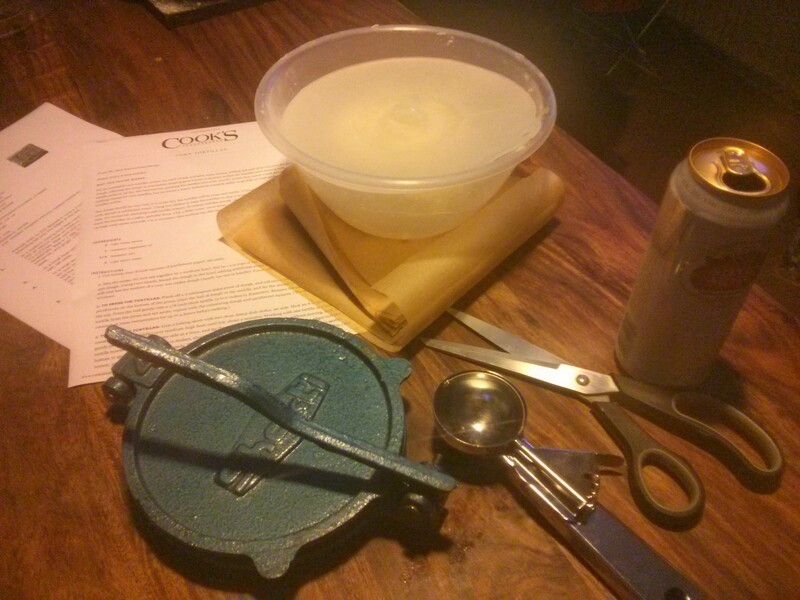 Then it’s time for the new toy: the tortillas press (picked up for £4 from a local hardware store!). 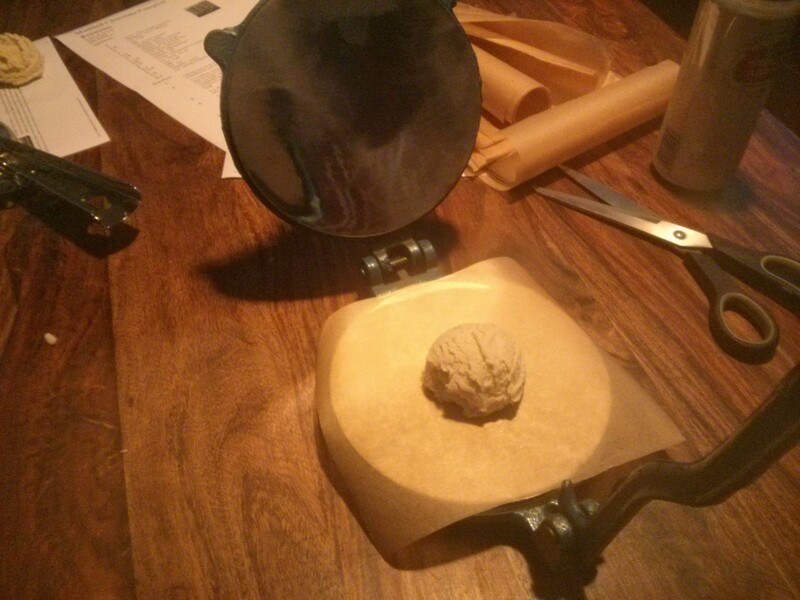 The balls go between sheets of baking parchment to avoid any sticking issues. The machine works really well: no matter where I placed the dough it seemed to squish it out nicely into a circular tortilla. 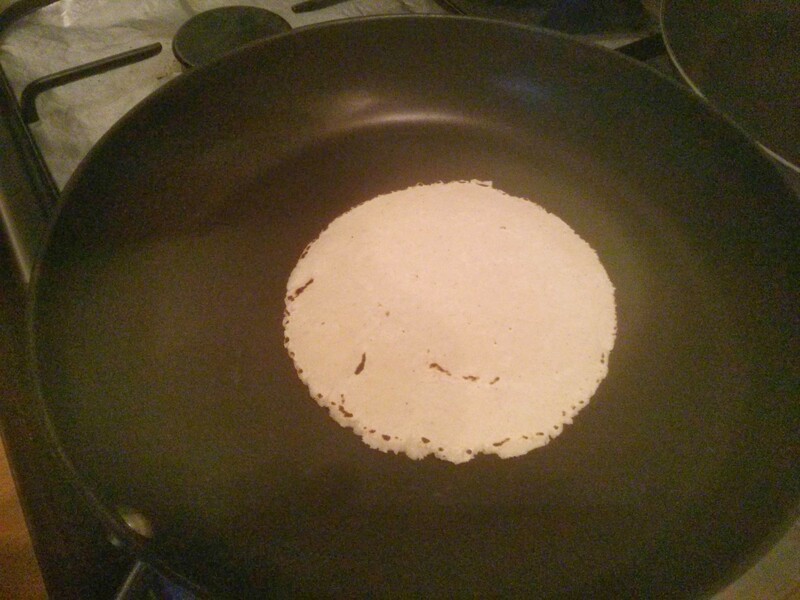 So that’s tortillas… now they need turning into taco shells. This is done by baking them for 10 minutes at 200c fan. To get a curve in them I draped them over an up-turned muffin tray (and forgot to take a picture of if…). Once cooked they were served up with Soph’s amazing 5 chili chili! A tortillas press for £4 has got to be a real bargain. I’ve never heard of Masa Harina but I followed the link to learn it’s a type of flour. We live and learn.